Our partners in the Occupied Palestinian Territories are the Episcopal (Anglican) Diocese of Jerusalem, and the Spafford Children’s Center. The Middle East areas of Israel and the Occupied Palestinian Territories are some of the most contested portions of land in the world. This adds to and complicates the development challenges faced by many people across the region. The Occupied Palestinian Territories consist of the West Bank and the Gaza Strip, and East Jerusalem – portions of land that were occupied by Israel during the 1967 war. Authority over and ownership of these areas has remained contentious and volatile ever since. Home to about 4.2 million people, this is one of the poorest regions in the Middle East. A third of the population are food insecure, with at least 26 percent living in poverty. These figures are all the more alarming given they have all increased over the past 20 years, leading the United Nations to refer to the Occupied Palestinian Territories as having undergone a process of ‘de-development’. 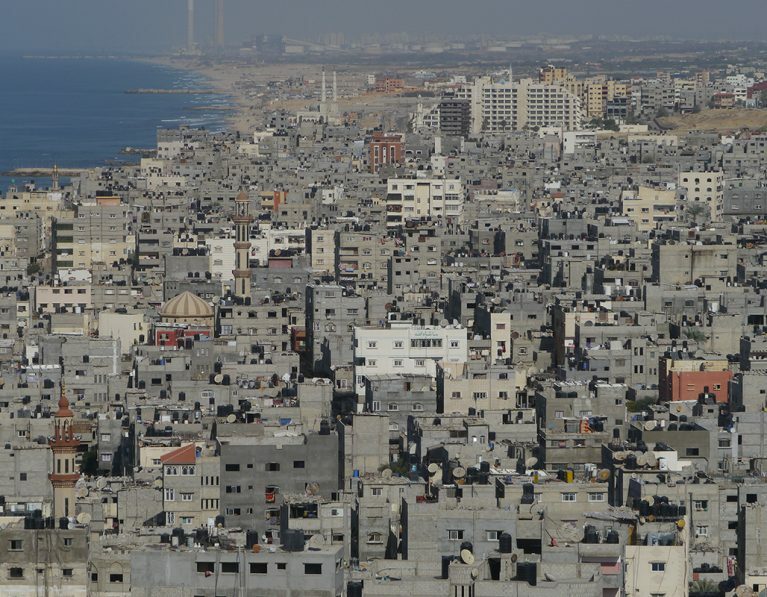 Gaza is a small strip of land only 45km long and 5km wide that is home to about 1.8 million people. It is one of the most densely populated areas in the world, and it includes refugee camps that house more than 800,000 people. Israel’s blockade of the Gaza Strip since 2007 has exacerbated the many challenges facing the people of Gaza. Unemployment rates are some of the highest in the world, and 80 percent of people receive some form of humanitarian assistance. These challenges have been further compounded by violent conflict between Israel and Hamas in 2008, 2012 and 2014. 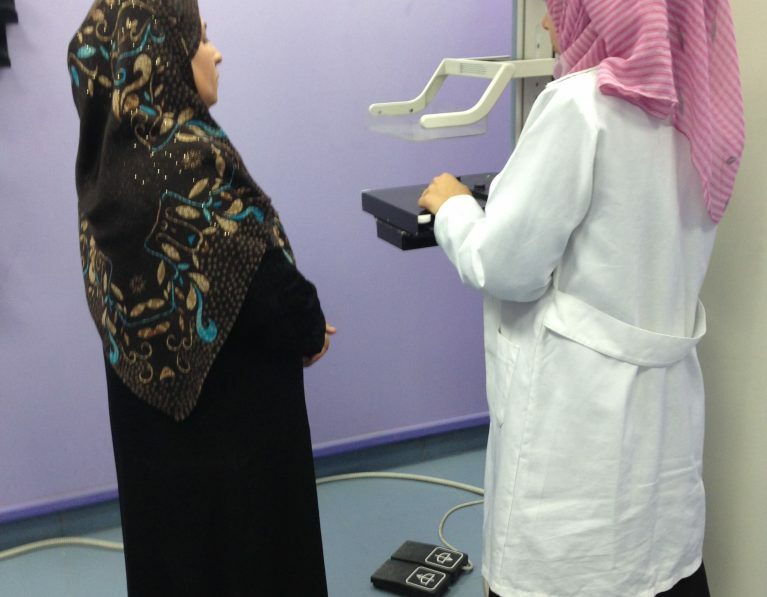 In Gaza, women face poor survival rates from breast cancer. Late detection, challenges accessing treatment, and stigma associated with breast cancer all contribute to the problem. Our work with the Ahli Arab Hospital in Gaza began in 1988. 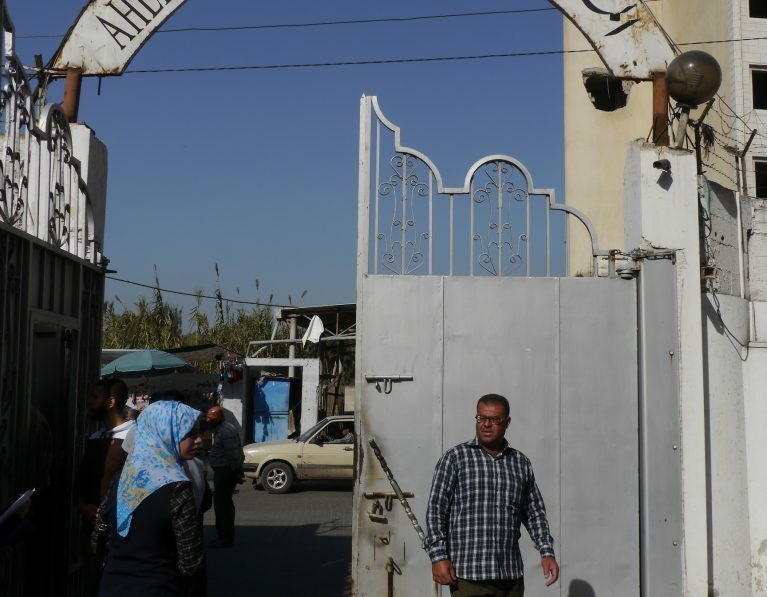 This Anglican hospital, run by the Episcopal Diocese of Jerusalem, offers health care to 32,000 outpatients and 2,100 inpatients each year, regardless of ethnicity, religion, political affiliation or economic status. Ahli Arab Hospital established the Women’s Health and Wellbeing Program in 2009 after female community leaders campaigned for action on the suffering that women were experiencing due to breast cancer. 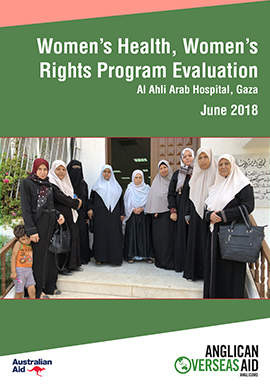 Through this project we aim to improve the survival rate of women with breast cancer through earlier detection, appropriate treatment referrals, support for women with breast cancer, and advocacy for improved access to medical treatment outside Gaza. An important aspect of this work is to address stigma related to breast cancer through a program for male community leaders and men with family members who have breast cancer. The hospital runs a free breast screening clinic and works with more than 30 community-based organisations to raise awareness of breast cancer and the importance of screening and early detection. 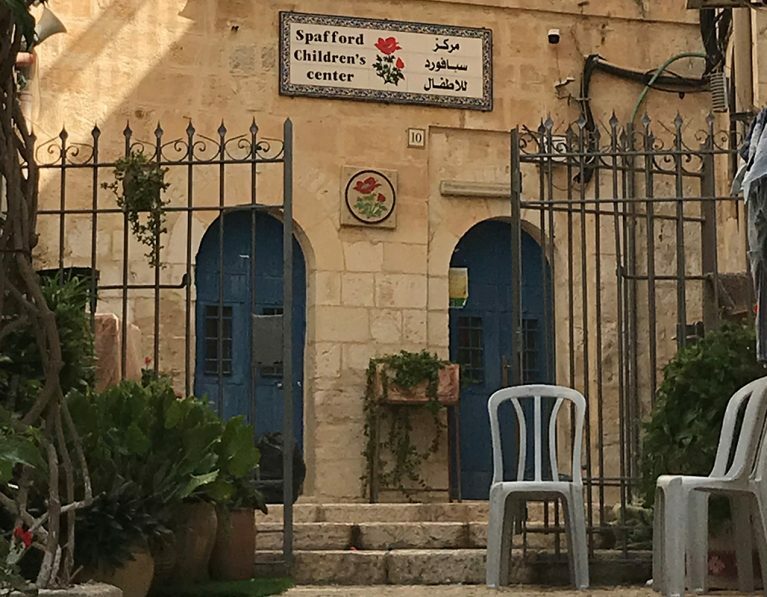 In East Jerusalem, the Spafford Children’s Center works with vulnerable and disadvantaged children, including many affected by the ongoing conflict, discrimination and violence. Often such children withdraw and suffer from poor linguistic development and communication skills. This affects their ongoing development and education. The Center uses a holistic approach to child health that responds to a child’s medical, psychological, social and educational needs. Children in the special education program receive psychological testing which enables staff to prepare individual programs of intensive treatment. These programs are often complemented by play therapy, speech therapy, social work and cultural activities. As a result, a large majority of children are re-integrated into the educational system and significantly improve their school performance. Anglican Overseas Aid decided not to renew its partnership with the Diocese of Jerusalem when it expired at the end of September 2017. 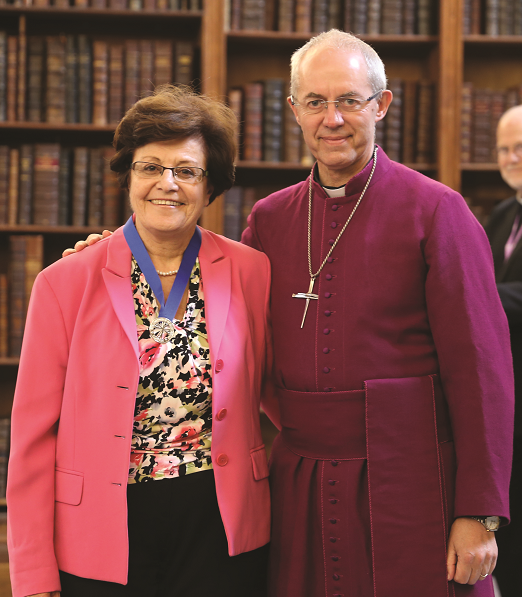 This partnership helped the Diocese to employ a Development Officer from 2011. 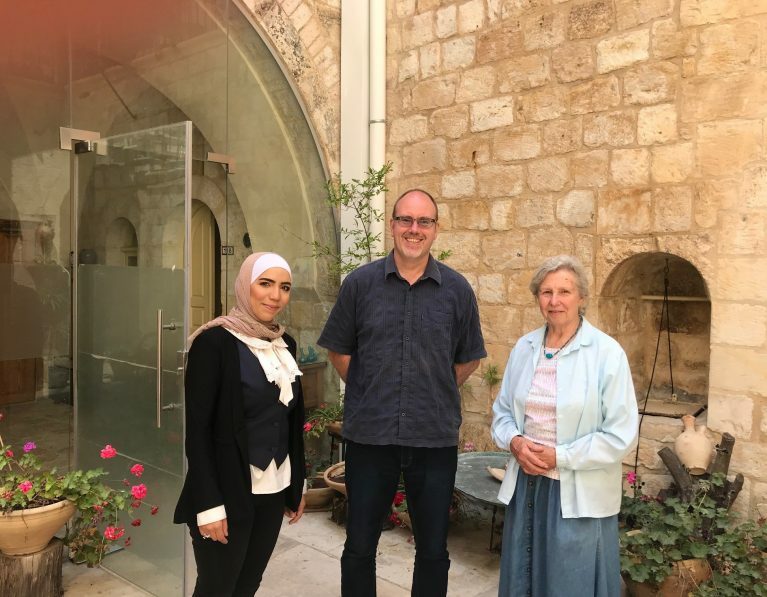 The Diocese of Jerusalem has a large portfolio of social institutions throughout the Middle East, some of which have been used in more strategic and developmental ways as a result of our support. Funding: The Women’s Health, Women’s Rights project is funded by grants from the Australian Government’s aid program and donations from the Australian public. The Spafford Children’s Center is funded by donations from the Australian public. We are particularly grateful for the very generous contributions of the Victorian Commandery of the Military and Hospitaller Order of St Lazarus of Jerusalem to the work of the Spafford Children’s Center. It is through the kindness of the Victorian Commandery that this project is able to continue. Every donation you make to the Women’s Health and Wellbeing Program in Gaza will be combined with funding from the Australian Government to reach more people. We have committed to contribute $1 for every $5 we receive from the Australian Government. Your donation will allow us to extend our programs.